How so? Because, in the same way that the state cannot plan the economy, “the state furnishes no machinery for arriving at justice.” He proves the point. It taxes people more rather than brings about compensation. It kills rather than rights wrongs. It ruins lives instead of righting them. It cares nothing about victims and instead makes more of them. Darrow even argues that the state attempts to create more criminals rather than stopping crime. For this reason, and after seeing these truths play themselves out in his work, he became a radical, and Resist Not Evil is his manifesto. What strikes you as you read is that certain negative points about “criminal justice” that you have noticed are not just periodic accidents. They aren’t mistakes. They aren’t exceptions. Darrow explains that the injustice of the system is intrinsic to the system itself. Far from being the proper agency to adjudicate and administer justice, the state is actually the worst agency for this purpose. In his view, every real crime is made far worse when the state gets involved — presuming powers to bring results that it cannot possibly achieve. Moreover, the state has every interest in expanding criminality into ever more spheres of life — making peaceful behavior illegal and doing nothing about actual crime. This is not incompetence or bad policy at work. Darrow says that this is intrinsic to the game of state-administered justice itself. The “nightwatchmen state” of the old liberal legend is actually the core of the problem. In many ways, his conclusions are the same ones that Murray Rothbard came to so many decades later. The remarkable fact is that Darrow’s book was published in 1902 when the state was much smaller and had not built its current-day empire of tax-funded police, prisons, and courts. Fair warning: this book is extremely unsettling. It will shake you fundamentally. You will never look at judges, police, courts, and jails the same way. It could change your whole outlook on politics — permanently. This remarkable book is the most comprehensive, sweeping, compelling, and unsettling case ever penned against what is laughingly called the “criminal justice” system. It is a classic, devastating at its core, that is made newly available to speak to us in our times in which the state is completely out of control. 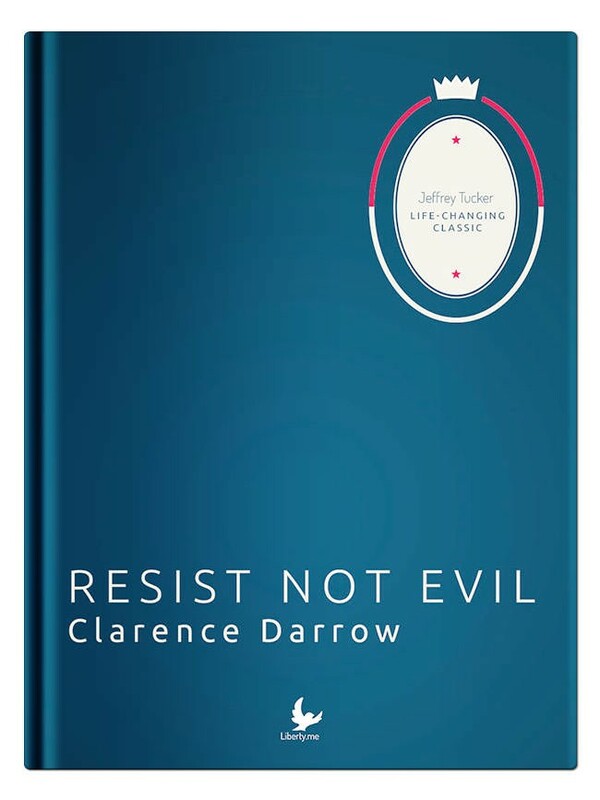 Clarence Darrow is best known today as the Chicago lawyer who defended John T. Scopes in the Scopes Monkey Trial in 1925. But that case actually played a minor role in his life. He was an attorney by training who, from experience, learned that the entire state apparatus of courts, trials, and prisons was the worst single feature of the state. He saw the entire machinery as a gigantic fraud, a purveyor of injustice, a producer of criminality itself, as has noted by many in the legal treatment of the Eric Garner murder. Join Jeffrey Tucker on December 28th at 8pm EST for this session in our Liberty Classics series. Jeffrey Tucker will guide you, week by week, through 25 of the most important works in the classical liberal and libertarian tradition, all of which are available free with your subscription to Liberty.me!